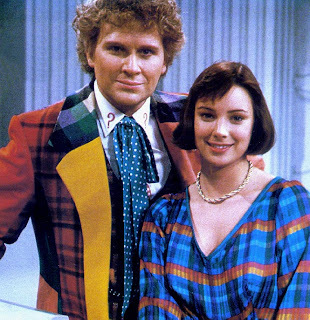 A wedding on the planet Koturia turns out to be a far more dangerous proposition than the Sixth Doctor and Peri ever expected. It marks the return of a formidable old foe whose genius matches the Doctor’s. Can the Doctor outwit this villain, save Peri and stop the wedding in time? When I first heard at the beginning of June that Richelle Mead had been chosen to write a Doctor Who short story I was ecstatic. If you read my blog you know I am a huge Richelle Mead fan and if you follow me on twitter you know I am a Whovian through and through. I feel like this combination was somehow a personal gift to me. First I want to point out that the sixth doctor is one I am less familiar with. The same goes for his companion, Peri Brown. The story is told from the point of view of Peri who just so happens to be American (I like to think this has something to do with why they chose an American woman to write it). I am posting a picture of the sixth doctor and Peri so that, if like me, you are not familiar with them you will know what they look like. 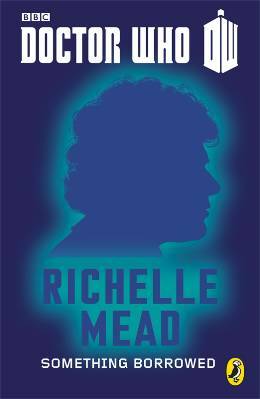 I was lucky enough to attend a reading and Q&A with Richelle Mead a couple of weeks ago and got to hear her thoughts on writing the story. She basically explained that she was chosen to write the story and that it was a somewhat nerve wracking experience to write a story based in a world with such a huge following and fandom. Well, I would just like to say, as a member of that fandom, that I fully enjoyed this story and thought she did the doctor and his companion justice. I absolutely loved the concept of a world created based on Las Vegas. It's crazy, but makes sense in that unique Doctor Who way that we all know and love. I also love the fact that there were pigeon sized pterodactyls in this story. But most of all I loved that this wasn't some random stand alone story. It had an established villain whose evil plan made absolute sense in the overall story of the doctor. There was nothing forced about this story. I felt like it could have seamlessly fit into the series at the time as an episode. Also I have a little bit of experience with older Doctor Who, but I have mostly just watched the newer incarnation of the show. I am not used to seeing any other timelords aside from the master and it was interesting to see the doctor interact with another of his kind, even if she was evil. 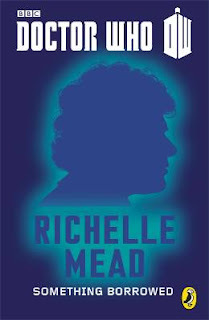 Richelle Mead combined a wedding, tiny pterodactyls, and an evil, brilliant timelord. Not to mention she managed to squeeze in just a smidgen of a love story, something no Mead story should be without. I was excited to read this, but I wasn't sure if I would get a real feel for the sixth doctor and Peri--two characters I know little about--in such a short story. I feel like Mead pulled it off beautifully. She got the characters across through their interactions and the smallest of details. All in all, I thoroughly enjoyed this story. The tenth doctor - played by David Tennant - is my favorite! I have to agree, 10 was the best. I think it is official then. David Tennant is the greatest!! Team Adrian... don't really watch doc shows.. Thanks for giveaway.. and have a great 4th of July weekend.